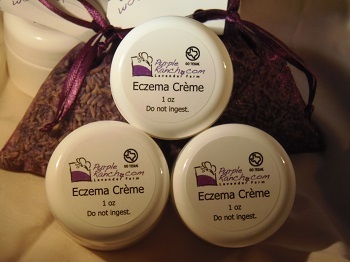 Our Eczema Creme is an all natural creme that is SLS, paraben and gluten free. This creme was created with a combination of pure essential oils that are recommended for the treatment of eczema. A moisturizing base is infused with lavender, rosehip, carrot seed and many other essential oils that relieve the itching and redness associated with eczema.